This is the opportunity that professionals were waiting for. This is a chance to show their skills of car wrapping and their ability on applying adhesives on complexes surfaces. Get ready for exciting moments at CAMBEA. [Register now] - to visit FESPA Brasil! 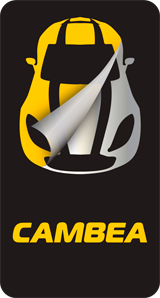 Competitor registration for CAMBEA Car Wrapping is for brazilian citizen only. *Not included air tickets or hotel.